Gearing Up for 4K Production, Part 2: Cameras and Lenses – Vancouver Video Production Company – Shawn Lam Video Inc. In part 2 of our 3-part series on gearing up for 4K live production, we’ll explore the cameras and lenses available today for professional 4K production. 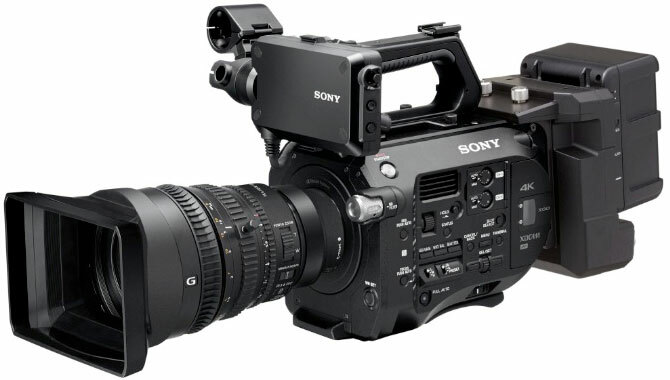 When I talk about cameras with other video producers, one of the questions that I always find interesting is, “Do you need a 4K lens to shoot in 4K with interchangeable-lens cameras?” A lot of camera companies now are coming out with “Cinema 4K-class” lenses. I question that designation–at least the purported uniqueness of it. In terms of resolution, 4K means 4,000 pixels wide, which translates to 8-9 megapixels (MP) in photographic terms. It’s a different aspect ratio, of course, but 8-9 MP is actually pretty modest for a still camera when you consider that today’s entry-level photo cameras offer 16-18 MP. Do you really need a “4K” lens for something that’s shooting at a smaller size? For me, the answer is no. Of course, it’s great marketing for them to promote their high-end lenses as “Cinema 4K.” That doesn’t mean these aren’t great lenses, of course; their ability to capture 8 MP images just isn’t their key point of differentiation. 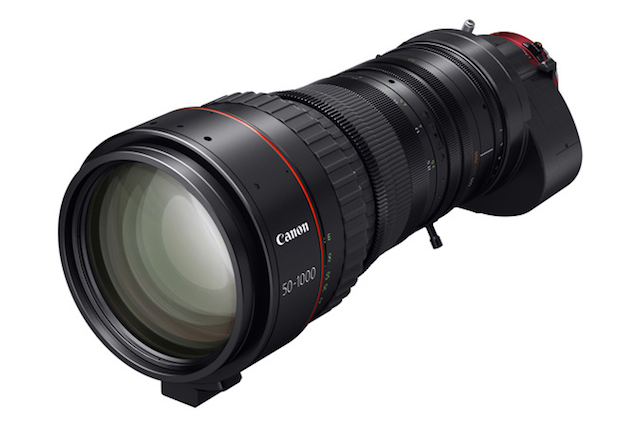 If you’re shooting 4K for the big screen and your budget is unlimited, by all means get yourself Cine Zoom lenses that cost $40,000-80,000 each (Figure 1, below). But you don’t need a lens that expensive to shoot 4K for the web. In reality, you can get away with professional DSLR lenses, and even some of the consumer ones do a great job for 4K as well. If you shoot with DSLRs, APS-C is the crop sensor format that you work with on your cameras. Some cameras also shoot full frame, which is comparable in size to old 35mm film. On the video side, while some full-frame 4K video cameras have either recently come to market or are coming soon, Super 35mm seems to be the sensor size that’s the most common right now. It’s very similar in size to APS-C.
Because APS-C cameras do not use the full frame in the sensor, the sweet spot on any lens is the middle. As you go out to the edges, the sharpness diminishes, resulting in vignetting and shading and other issues. The sweet spot is the middle. Pairing a Super 35 sensor with almost any photo lens will achieve excellent results. You don’t need it to be the sharpest lens in the world, because you’re not going to 50 megapixels, even with 4K. In general, prime lenses are sharper than zoom lenses. I’m a big fan of large-sensor cameras because the sensor is so massive that you don’t have to do any interpolation of the image that comes from the lens. Small camcorders have tiny 6-7mm (diagonal) sensors. By comparison, Super 35mm cameras have sensors of 28.5mm diagonal (Figure 2, below). Sensors of this size make it possible to achieve shallow depth of field, and when you’re webcasting, you definitely want that look. Your bit rates are so aggressive when you’re webcasting that you don’t want noise, and you don’t want too much detail. Your subject needs to be sharp and in focus at all times. You want to allocate all your available bits to maintaining focus on your subject, and one way to maximize the bits available to your subject is to sacrifice focus on the background. Large-sensor cameras give you that ability.